O’Charley’s Menu is an American based casual dining restaurant and bar chain which serves their customers with the classic American dishes. The food chain has more than 250 location spread throughout the United States. Most of the locations of O’Charley’s are either company owned or are the joint venture which is located in Southern and Midwestern states. There a very few franchised location of O’Charley’s. The restaurant was initially started out in Nashville, Tennessee in 1971. All of the locations of O’Charley’s provides the customers with great food along with a warm, comforting and welcoming atmosphere. Customers are also pleased by the family environment at O’Charley’s. It has been more than 4 decades since O’Charley’s has been running. The company was built on the foundation of providing hospitality to the customers. The motto of the company founder was “everyone who walks through the door is a friend of mine.” The company still runs with the same motto and treats every customer as a close friend. The company serves generous portions of classic American food with a little influence from South. There is a bar featured at every O’Charley’s location which provides a full service by serving the customers with wine, beer, cocktails and even non-alcoholic beverages. The staff also suggests you the kind of beer and wine you should order which would complement your food. Below are the latest “O’Charley’s Menu” prices. Their famous tenders are dipped in buttermilk, hand-breaded twice and cooked fresh to order. Served three flavorful ways (Original Tenders, Buffalo Tenders, pr Chipotle Tenders). Crispy potato tots served with warm, creamy cheddar fondue topped with crispy bacon and green onions. Served with sour cream. Spicy chili and white queso piled high on a double layer of warm tortilla chips. Tossed with house-made Pico de Gallo, jalapeño peppers, green onions and sour cream. Prepared fresh to order. A tower of crispy twisted chips served with our spicy white queso with house-made Pico de Gallo. A creamy blend of spinach and artichoke hearts topped with shaved parmesan cheese. Served warm with crisp tortilla chips and salsa. Cornmeal breaded, crispy dill pickle chips served with our Old Bay Mayo. Seasoned flour tortillas filled with bacon, cheddar and Monterey Jack cheeses, Pico de Gallo and sprinkled with cilantro. Served with sour cream and BBQ Ranch dipping sauce. The Classic with diced grilled and chilled chicken, tomatoes, bacon, fresh avocado, hard-boiled eggs, bleu cheese crumbles and croutons on a bed of crisp romaine, iceberg and spring mix with our Bleu Cheese dressing. Double hand-breaded white meat chicken tenders tossed with chopped hard-boiled eggs, grape tomatoes, bacon and shredded cheeses. Served atop a bed of crisp greens, spring mix and shredded carrots with our Honey Mustard dressing. Grilled chicken, bleu cheese crumbles, candied pecans, fresh ripe strawberries, mandarin oranges and dried cranberries. Served on a bed of romaine lettuce, spring mix and shredded carrots with Balsamic Vinaigrette. Fresh greens topped with grilled chicken, shaved parmesan cheese and croutons tossed with our Caesar dressing. Pecan-crusted white meat chicken tenders tossed with mandarin oranges, dried cranberries, bleu cheese crumbles and candied pecans. Served on a bed of crisp greens with our Balsamic Vinaigrette. A crisp iceberg lettuce wedge with grilled 12-pepper chicken, fresh avocado, Pico de Gallo, jalapeños, cheddar and Monterey Jack cheeses. Topped with Salsa Ranch dressing and tortilla strips. Double hand-breaded Chicken Tenders served with Honey Mustard dressing and our Twisted Chips. Chicken fried steak smothered with our country gravy. Served with cheesy bacon smashed potatoes. A lightly seasoned grilled chicken breast with sautéed garlic and fresh basil over linguini pasta and fresh tomato bruschetta. Our fresh 6-oz. sirloin seasoned with 12-pepper seasoning and topped with crispy onion tanglers. Sautéed shrimp, peppers, tomatoes and onions tossed with linguini in our bold Cajun cream sauce. A buttermilk breaded crispy fried chicken breast drizzled with honey. Served with smashed potatoes topped with chicken gravy and a side item of your choice. A grilled chicken breast topped with parmesan spread, melted Monterey Jack cheese and a savory crumb topping. Served on a bed of linguini tossed with parmesan cheese, garlic butter and roasted tomatoes. A hand-breaded boneless chicken breast lightly fried and served on Ciabatta bread with white cheddar cheese, applewood-smoked bacon, lettuce, tomatoes, onions, pickles and our Old bay Mayo. Oven-roasted turkey breast topped with applewood-smoked bacon, thinly sliced ham and cheddar and Monterey Jack cheeses. Stacked high on toasted oat-topped wheat bread with lettuce, tomato and mayonnaise. A big juicy burger piled high on a bun with applewood-smoked bacon, white cheddar cheese, lettuce, tomato, pickles and onions. This burger has a little twist - served on a toasted pretzel bun and topped with sliced ham, cheddar cheese, tomato, onion, pickles and our Honey Mustard dressing on the side. This burger is topped with melted Monterey Jack cheese, applewood-smoked bacon, fried onion tanglers, lettuce, tomato, pickles and our Cajun Horseradish sauce. Their classic cheeseburger topped with cheddar cheese, fresh lettuce, tomato, onion and pickles. Veggie lovers, you're going to love this. Our spicy black bean patty with fresh avocado slices, Pico de Gallo, Monterey Jack cheese, Salsa Ranch, lettuce and tomato on a toasted bun. Two Cuts Of Prime Rib, Each With A Side And One Shareable Appetizer. Per person. Juicy, fresh sirloin, perfectly seasoned. Three sizes, one great steak taste! Hand-rubbed with brown sugar and spices and slow cooked till they fall off the bone. For the serious steak lover, this hearty fresh 12-oz. cut is generously marbled for maximum flavor. Hand-rubbed with herbs and spices, slow roasted for tenderness and hand-carved to order. Available all day Friday, Saturday and Sunday, while it lasts. Panko-crusted fried shrimp served with cocktail sauce. Served with two side items. Mississippi Delta farm-raised catfish cornmeal breaded and fried golden brown. Served with our signature hush puppies tossed in sweet & spicy bacon sugar, Southern Coleslaw, hot, seasoned fries and tartar sauce. A fresh hand-cut Atlantic salmon filet, seasoned and grilled to perfection. Served with your choice of two side items. Hand-battered Atlantic cod served alongside popcorn shrimp tossed with parmesan cheese and garlic. Served with hot, seasoned fries. This seafood favorite includes a generous portion of hand-battered Atlantic cod and hot, seasoned fries. Served with tartar sauce for dipping. A juicy fresh sirloin paired with a half-rack of our fall-off-the-bone ribs. A lightly seasoned grilled fresh salmon filet served alongside a tender sirloin. Shrimp sautéed in a garlic butter sauce with a sirloin. Their juicy sirloin paired with our panko-crusted shrimp. A heaping portion of our light and crispy Atlantic cod served with our panko-crusted shrimp. Their famous tenders are dipped in buttermilk, hand-breaded twice and cooked fresh to order. Served with your choice of two side items. Original tenders are served with Honey Mustard dressing. If you're looking for something with a bit more kick, try our tenders in our spicy Buffalo or Chipotle sauce. Lightly seasoned grilled chicken breast topped with mozzarella cheese, fresh tomato bruschetta, basil and olive oil, finished with a drizzle of tangy balsamic glaze. Served with your choice of side item. Sliced grilled chicken sautéed with fresh peppers, onions and parmesan cheese tossed with linguini in our spicy New Orleans cream sauce. Tender slices of prime rib, applewood-smoked bacon, fresh asparagus and mushrooms tossed with penne pasta and our Sun-Dried Tomato Alfredo sauce. Finished with a Cajun Horseradish sauce for a little extra kick. They say everything is better with bacon and you will agree once you taste our creamy, four-cheese sauce with shell pasta loaded with chopped bacon and diced tomatoes. Topped with parmesan bread crumbs and served with a side item of your choice. Two poached eggs on a slice of grilled tomato, Canadian bacon and a toasted English muffin with traditional Hollandaise sauce. Served with parmesan brunch potatoes and fresh fruit. Fluffy eggs scrambled with sausage, ham, peppers and onions served on top of parmesan brunch potatoes covered with cheese. Served with crisp bacon, fresh fruit and your choice of white or wheat toast. A tender half-pound Chicken Fried Steak topped with country gravy with two eggs any style, parmesan brunch potatoes, fresh fruit and your choice of white or wheat toast. Our fresh 6-oz. USDA Choice sirloin, two eggs any style, three slices of applewood-smoked bacon and half a waffle. Served with parmesan brunch potatoes and fresh fruit. A four egg omelet with ham, onions, peppers and cheddar cheese. Served with parmesan brunch potatoes, fresh fruit and your choice of white or wheat toast. A four egg omelet with mushrooms, tomatoes, onions, cheddar cheese and crisp bacon topped with fresh sliced avocado, Pico de Gallo and sour cream. Served with parmesan brunch potatoes, fresh fruit and your choice of white or wheat toast. Four fluffy egg whites with peppers, onions, mushrooms and cheese alongside our yogurt parfait with sliced strawberries, bananas and granola. Served with fresh fruit. Their signature Prime Rib is seasoned with herbs and spices, slow-roasted for tenderness and hand-carved to order. Served with au jus and your choice of two side items. Available all day while it lasts! Fresh ripe strawberries, powdered sugar, butter and real whipped cream atop a Belgian waffle. Served with two eggs any style and your choice of bacon or ham steak. Chopped pecans, powdered sugar, butter and real whipped cream top this Belgian waffle. Served with two eggs any style and your choice of bacon or ham steak. Hand-chopped bacon mixed in our signature waffle batter-topped with powered sugar, butter and real whipped cream. Served with two eggs any style and your choice of bacon or ham steak. Their fluffy waffle topped with powdered sugar, butter and real whipped cream served with two eggs any style and your choice of bacon or ham steak. 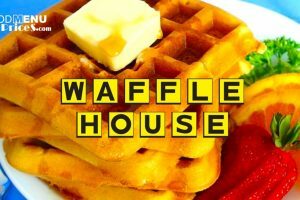 Their famous double hand-breaded chicken tenders served atop a Belgian waffle with syrup on the side and two eggs any style. Just for kids 10 and under! Each meal includes a Side and Kids Drink. FREE PIE WEDNESDAY Get A Free Slice Of Any OCharleys Pie With Purchase Of An Entrée. Their award-winning tender, flaky double-crust pie filled with deliciously sweet sun-ripened Free Stone peaches. Served with a dollop of real whipped cream. Their award-winning "old fashioned" double-crust pie filled with sweet, crisp Michigan apples seasoned with delicate spices. Served with a dollop of real whipped cream. Their decadent chocolate brownie filled with toffee morsels and drizzled with chocolate and caramel sauces and topped with vanilla ice cream. O’Charley’s is a place where the feeling of homeliness and warmth keeps you in a light mood. Everything from décor to the food and the service of the staff is meant to make the customers make feel right at home. O’Charley’s provides a vivid menu for breakfast, O’Charley’s Menu Lunch and dinner and a special O’Charley’s Menu for the Sunday brunch. The kid’s menu is also very generous. Moreover, the family meals at O’Charley’s are a good deal when you are visiting with a group of 4 or 5. The meals at the food chain keep their customers returning for the great taste and hospitality. The food at the restaurant chain helps you connect with family and friends. The food chain provides you with a welcoming and comforting environment. SOUTHWEST BLACK BEAN BURGER: This burger of O’Charley’s is prepared specially for vegans. The burger patty is prepared with black beans and a mix of spicy herbs. The burger provides you with the black bean patty with fresh avocado slices, Monterey jack cheese, pico de gallo, salsa ranch, tomato and lettuce on a toasted bun. LOUSIANA SIRLOIN: It is a special 12 oz sirloin of the restaurant chain. The first bite of this makes the flavors burst into our mouth. The sirloin is grilled with Cajun seasonings and is topped with Cajun butter. FRESH CEDAR PLANKED SALMON: This dish serves you with a fresh 9 oz Atlantic salmon filet which is freshly hand cut and fire grilled on cedar wood plank. The smokiness of cedar with the rich taste of Atlantic salmon is enough for you to go crazy. HAND BREADED CATFISH DINNER: The seafood dish serves you with a fresh Mississippi Delta farm-raised catfish which is cornmeal breaded and fried until golden brown. The catfish is served with the O’Charley’s signature hushpuppies which are tossed in sweet and spicy bacon sugar, southern coleslaw along with hot, seasoned fries and tartar sauce. 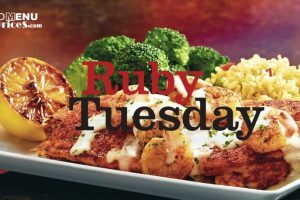 TUSCAN CHICKEN: This is a serving of grilled chicken breast which is topped with parmesan spread, melted Monterey jack cheese, and a savory crumb topping. The chicken platter is served on a bed of linguini tossed with parmesan cheese, garlic butter, and roasted tomatoes. SOUTHWEST CHICKEN WEDGE: This dish serves you with a crisp lettuce wedge with grilled 12 pepper chicken, fresh avocado, jalapeños, pico de gallo, Monterey jack cheese and cheddar cheese. The dish is topped with salsa ranch dressing and tortilla strips. The O’Charley’s Menu provides a wide array of choice to their customers in the classic American food and dishes. The restaurant serves different kinds of pasta, steak, ribs, seafood, sandwiches, burgers, salads and soups. 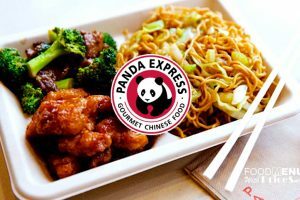 The food chain also has a large variety of appetizers which are priced between $5 and $8 which is affordable for everyone. There are a lot of different appetizers in the O’Charley’s Menu such as chicken tenders, chili cheese nachos, fondue, chips and queso, spinach and anti-chop dip, bacon and cheese quesadilla and more. The appetizers at the food chain are made with care and hygiene check. The appetizers are very popular and are ordered along with every meal and hence are prepared fresh for every order. The food chain prepares a soup every day and serves it as the ‘soup of the day’. The soups are priced between $4 and $5. The soups which are very popular at chips are chicken harvest soup, chicken noodle soup, and clam chowder soup. The salads at the O’Charley’s include the California chicken, the Chicken Ceaser, the Classic Cobb and the southern fried chicken salad. The salads are ranged between $9 and $11. These food items are really amazing and can be ordered along with the meals. Most of the customer order meals while a few orders appetizers and salads as well at the O’Charley’s. O’Charley’s is also known for their burgers and sandwiches. The classic steak hamburger of O’Charley’s is very popular and is made with 100% real and fresh beef patty. The steaks at the food chain include sirloin, rib-eye, and filet mignon. The steaks and ribs are slow roasted and served hot to the customers in the half pound and full pound cuts. The Baby Back ribs are also quite popular and are served as a half rack or full rack for $14 and $18 respectively. The meat at the O’Charley’s is brought fresh from the farms and the quality is checked before cooking. All of the steak and ribs items are prepared manually with hand skilled chefs to bring out the great flavors in them. Other than meat, the restaurant chain also serves seafood. The seafood chef at the restaurant always keeps a check over the freshness of the fishes and the ingredients. The O’Charley’s Menu Prices for seafood vary with the fluctuations in the market. Popular choices amongst the seafood section include Savannah Crab Cake dinner, Fresh Grilled Atlantic Salmon, Fresh Cedar Planked Salmon, Panko Crusted Shrimp and Fish and chips. You can also get classic combos of steak and seafood or ribs and seafood. These combos are prices between $13 and $20. The restaurant chain always provides only the fresh food to the customers and treat them as their guests. O’Charley’s was founded by Charles Watkins in 1971 at 21st Avenue South in Nashville, Tennessee. Watkins ran the restaurant from 1971 to 1884. He sold the restaurant to David K. Wachtel who was already the CEO and president of Shoney’s. With the experience in the food industry, Wachtel decided to change the restaurant into a food chain network. In 1987, O’Charley’s already had more than 15 restaurants. By the end of the year 1993, Burns and McWhorter announced that they are deciding a growth strategy for the restaurant chain to carry the 45 unit chain into the ranks of the largest regional dinner house chain of the country. In 1994, the company planned to open at least eight new location of O’Charley’s primarily in southeastern markets. With time the company grew but also had to face serious troubles such as the resignation of Wachtel as the president. The company was also accused of the charges of racially discriminating African Americans in company’s hiring, assignment and promotion, and procedures. In 2007, the company started using Performance Food Groups to distribute product to all of its locations to maintain a consistency in servings amongst their all locations. Today, O’Charley’s has more than 250 location in over 17 states of the country. If “O’Charley’s Menu” has some new updates do tell us and all the readers of this website.